Airtight Games is no more, according to GeekWire. Airtight Games is no more, according to GeekWire. 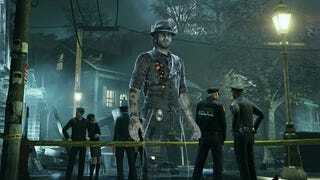 The independent developer behind Quantum Conundrum and Soul Fjord recently released Murdered: Soul Suspect, a noir-themed adventure game published by Square Enix. The GeekWire reporter found the studio's Redmond, WA headquarters newly vacated, "with a sign outside saying the company is closing its doors."